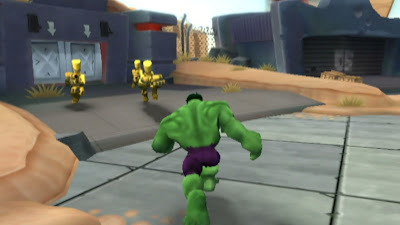 Synopsis: THQ has just released Marvel Super Heroes, an action adventure game based on the animated series, on a handful of systems, both console and handheld. In this title, the player is tasked with recovering Fractal fragments of the “Infinity Sword” throughout the city and ultimately to help or destroy the city. There is two available games modes available, adventure mode consists of six campaigns based on the TV series, and battle mode allow four players to fight to their demise. 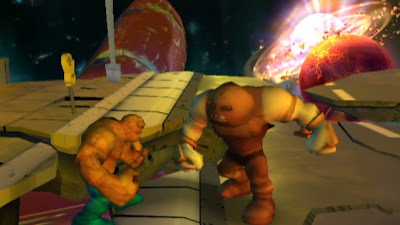 There are more than twenty Marvel characters available in this game, each with their own special powers and abilities to choose from and play as. Praise: It is Marvel we are talking about here and almost everything they touch turns to gold. You start the game choosing two characters to play through the mission as and since there are a number of characters to choose from, the variety is there to keep you coming back to either master their moves or just to change things up throughout the story. The graphics and gameplay are targeting a younger audience, so it is easy to pick up and play, while the graphics are bright and characters, both playable and not, have the cute look of those in the animated series. The battle mode adds to the replay value when you have played through the story or have a group of people that are up for some arena fighting. Controls are easy to get the hang of, as you use the remote and nunchuk buttons for movement and attacks, and it does use the motion sensors to execute character specific special attacks. Gripes: The first issue I had with this game from the start and throughout the game was the camera, it never seems to be where you need it, especially when in heated fights and you see you are being shot at but can’t find the enemy to attack due to the camera placement. Enemy AI and the level of ease are the only other issues with this title as I was able to play through without even worrying about dying as health is easily replenished. 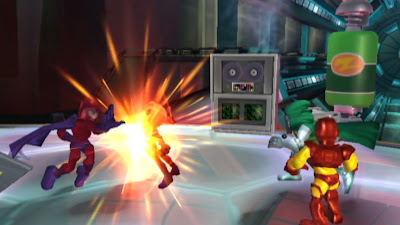 The problem with the enemy AI is that a number of times, characters of the opposing side, would sit in one place, not moving or attacking at times, while this could be put in place to make the game more playable for a younger audience or a game glitch, it was a little frustrating. 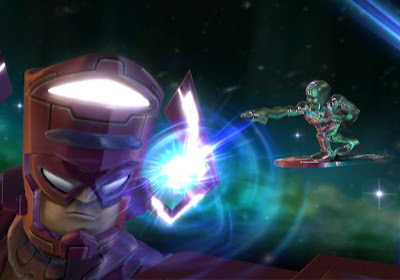 Overall, Marvel Super Hero Squad is an entertaining game to play through for a Marvel fan. However, the main focus of this title is towards a younger audience, which may turn away adult gamers such as myself, but makes for a great game to buy for a child. Since the Wii is an easier console to play with multiple people, this game is good for two people to play through and if you have a group, battle mode is even more fun to play when you have two to four people trying to prove who the better gamer is. Mashbuttons.com gives Marvel Super Hero Squad a 6 out of 10. 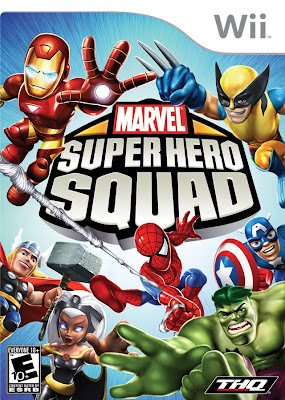 Marvel Super Hero Squad is available now for the Nintendo Wii, DS, Playstation 2, and Playstation Portable.